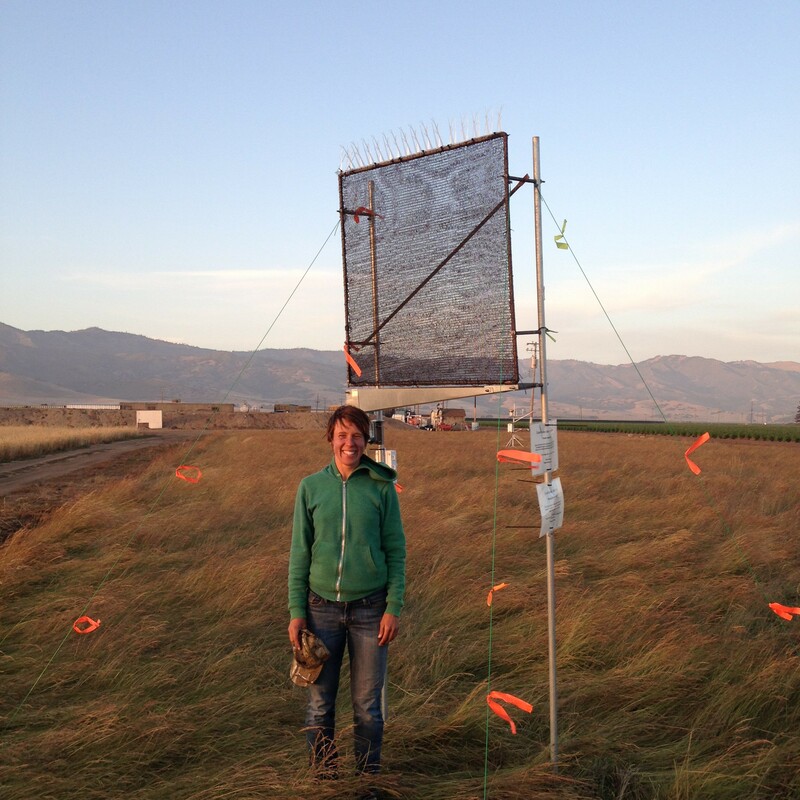 Dr. Sara Baguskas, USDA postdoc fellow, is researching how coastal fog impacts evapotranspiration rates from strawberry farms along a coastal-inland gradient in the Salinas Valley. As an ecophysiologist, she develops mechanistic relationships between fog events and physiological function of the crops. The results of this work can be used to inform irrigation decisions based on local climate variability, specifically spatial-temporal patterns of coastal fog. AgriFog 2016! I’m excited to collaborate with Dr. Andrew Oliphant, biometeorologist in the Dept. of Geography at SFSU, this summer to quantify ET rates over coastal strawberry crops using an eddy covariance approach. We will be installing instrumentation this week! Greg Seckinger, Spring Hill middle school science teacher, organized a field trip to UCSC to expose students to different scientists and approaches to doing science. 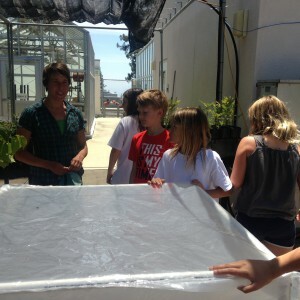 They made a stop at the greenhouse to learn about fog and to check out the fog machine! Excellent topic and website! I look forward to learning more about fog and agriculture.